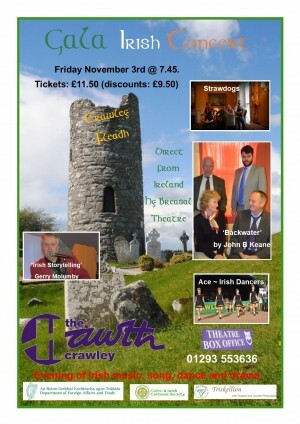 As part of ‘Crawley Fleadh 2017’ the John B Keane play ‘Blackwater’ will see its premiere in the UK at The Hawth Theatre on Friday November 3rd. 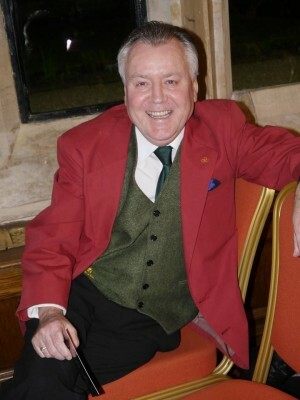 It forms all part of a night of music and song, storytelling and dancing displays. The centre of the Celtic and Irish Cultural Society’s year is the Crawley Irish Festival held on the Sunday of the August Bank Holiday. The event attracts 6,000 people featuring a number of Irish arts workshops, dancing demonstrations, three music stages featuring traditional and modern Irish music, All Ireland Gaelic Football Semi- Final ‘beamed’ from Croke Park, children’s entertainment and storytelling, craft stalls and shops selling traditional Irish produce etc. 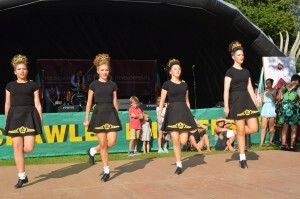 Throughout the year as part of Crawley Fleadh with support from the Emigrant Support Programme and Crawley Borough Council we endeavour to host other activities such as educational and performance events to showcase Ireland’s rich and varied Culture. Following on from our very successful and well received ‘One Easter Morn’ (2016 Commemoration) held last year a special night of Irish Drama, Music, Story and Song is scheduled for Friday 3rd November at 7. 45pm at the Hawth Theatre. We are especially pleased to be bringing over from Co. Kildare, The Hy- Breasal Theatre Company as the highlight of the night as they present ‘Backwater’, Classic Irish Drama by John B Keane . 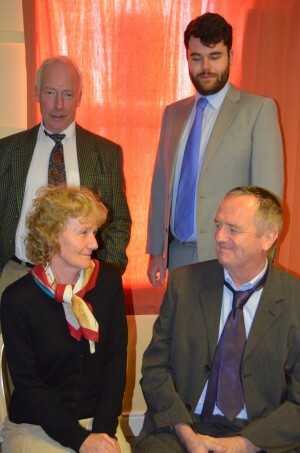 ‘Backwater’ is a rarely seen John B. Keane one-act play which was first performed in 1973. It tells the story of Jimmy Swan, an only son who arrives home to Ireland from London to visit his mother after a nine year absence. His visit coincides with the annual carnival in the village and he brings his two friends, Sammy and Eddie to stay for the ten days of the carnival. Jimmy’s arrival triggers a series of events that neither he or his mother could have foreseen. 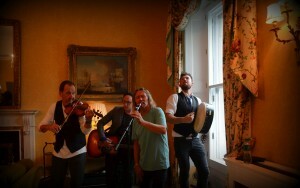 The rest of the evening will be a showcase of Irish Dancing from the award winning The Ace Academy’ and traditional music from the local band ‘Strawdogs’. This is being produced in collaboration with ‘Gerry Molumby’ from Triskellion Theatre who will also perform part of his one man show ‘Tar Isteach’.